ON HOLIDAY IN THE YOULGRAVE AREA? Monday 18th to Saturday 23rd June 2018. 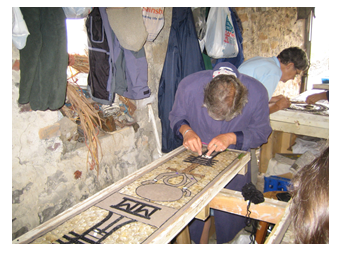 That’s when we make our welldressings, a tradition in this village that goes back about 200 years. Welldressings are pictures made with petals and other natural materials pressed into clay. 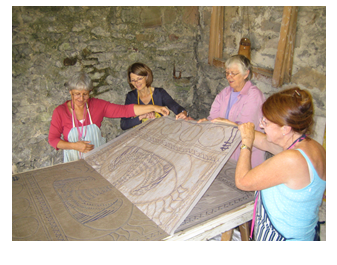 They are now produced by more than 80 villages in Derbyshire. 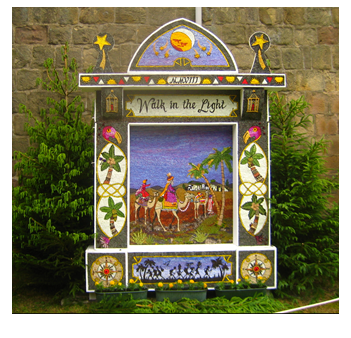 There are 5 large welldressings in Youlgrave (about 10 feet by 8 feet). We estimate that up to 150 people are involved in one way or another. Some of them started when they were on holiday. On Monday evening we puddle the clay. Tuesday to Friday flowers and other materials are collected and the actual making takes place. They are erected early on Saturday morning. No experience or special skills necessary, extra help is always welcome!